Poptropica Account on the Official App? 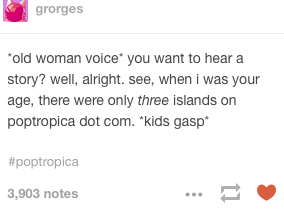 Make sure to get on Poptropica soon so you can get your own! There’s a really cool fan-made Poptropica quiz you can take that tells you what villain you are! Just click here to go look at it. I got Copy Cat! The famous YouTuber, Thinknoodles, got to meet Poptropica in person! 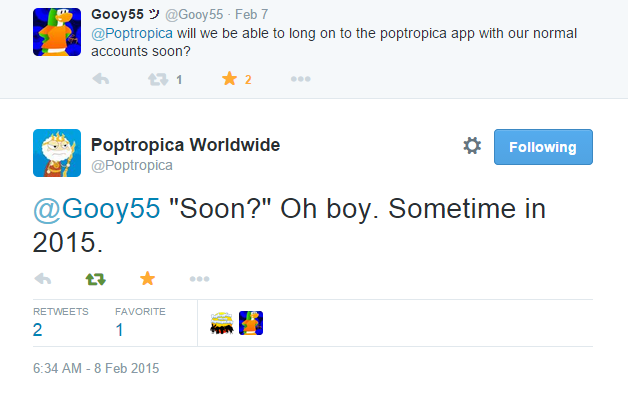 Thanks to Poptropica Help’s post, we also know that there will be a Timmy Failure Island, Poptropica’s origins will be explained, and the Poptropica cartoon has been confirmed! ← Galactic Hot Dogs Island out for members!